Zen coaching is a simple, easy and powerful coaching process of coaching you into Alignment with Essence. This state is also known as Presence, Source, Higher Self, Essence or Love and it is this that is our true nature. So, rather than being a problem-solving technique, Zen Coaching facilitates getting you into a space where problems literally dis-solve or are easily solved. With Zen Coaching you are supported into a space of higher perspective and from that space of alignment with Presence you not only see your problems differently, but you also get to experience yourself as someone much more relaxed, at ease and filled with a lightness of Being. Because the human baby is designed to be totally dependent on it’s parents, we form beliefs and opinions about how to please our care/life-givers at all costs. We do this right from birth. These early infantile patterns remain the lens through which we experience Life unless and until we acknowledge and review them. Most of us however, go through life through these infantile patterns which usually also tell us that we are not good enough, unworthy and fundamentally flawed. We consequently spend much energy and money trying to ‘fix’ or improve ourselves, or to make ourselves worthy of love and success through, buying/doing/getting rather than Being/releasing/relaxing, and the deeper questions of “Who am I?’ and ‘Why am I here?’ never really get answered. Yet it is only when we truly know and love who we are in an experiential way rather than an academic (mental understanding) way – which is the Zen Coaching way – that we come into our full power and fulfillment. More than just a coaching technique to help you get what you want, Zen Coaching helps you to see and access your own inner wisdom and know who you are on a deep experiential level. Then, from that place, you are able to support yourself and others to do the same. 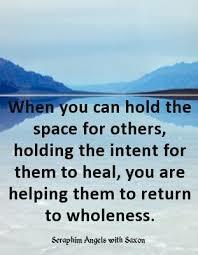 The most significant part of Zen Coaching is for me, creating of a ‘holding space’ for healing to happen. What is a Holding Space? Zen Coaching teaches the practitioner how to create this ‘holding space‘ for healing to occur. This is an extraordinarily powerful thing, and best described by what Matt Licata, contemporary author/teacher calls ‘a luminous awareness’ which is found in a ‘relational matrix’. That alone changes things. 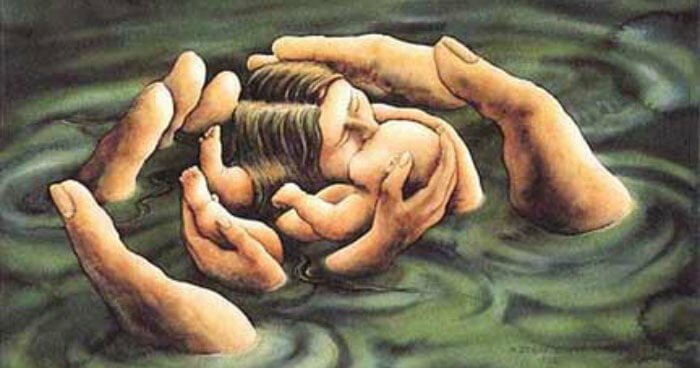 The holding that I do is emotional but the experience is the same as being held physically. “In those moments when we are held, our nervous systems down-regulate, our minds soften, our hearts open, and we come into an ancient sort of rest. That rest that we’ve been longing for in a lifetime that always seemed just out of reach. The rest from becoming. While our true nature as open, luminous awareness is the ultimate holding environment, as tender human beings we are wired to rest within a relational matrix. To enter into this field with another – weaved of the alchemical substances of presence and of space – is one of the great mysteries of the embodied world. Held by another, held within by our own hearts, or held by a star – despite the pain and confusion and hopelessness and doubt – somehow we are already held. It’s not something we must earn or deserve or frantically search for. Zen Coaching empowers us to STAY OPEN TO OUR EXPERIENCE EVEN IF IT’S CHALLENGING: Most of us are conditioned to avoid pain and discomfort at all costs, and Zen Coaching helps us to see that behind pain there is almost always a suppressed longing and it is in being able to access our longings, that they become portals to our inner power. Pain therefore has a purpose and without become sadistic, we are taught to have an attitude of curiosity towards our pain and disease rather than simply trying to get rid of it. Zen Coaching is both a personal growth path as well as a healing and support technique. The essence of Zen Coaching is to liberate us from external refuges and resources that we build around ourselves, and to find instead the solutions and answers within ourselves, as illustrated so beautifully in the saying by Rumi below. It is said that 70% of all stress comes from resistance to life as it shows up in whatever way, shape or form. For example, we lose our job. Our first reaction is to get upset and angry and afraid, all of which are stress reactions because in some way we are fighting the facts. And what does this fear and panic do to us? It closes down our connection with God/Universe/Higher Power which is where all possibility arises from. Now for spiritual people or people who are into self-development this can be a double-whammy. Because not only do we get stressed, but we stress about the fact that we are stressing!!! We become critical of ourselves and think we should know better than to panic, and that we need to calm down and stop whining – this is then resistance to the resistance which is double stress! Does this mean we have to become totally passive and accepting of everything? Well, yes and no! Yes, in that acceptance must come first, and no in that your response to what is showing up involves making a choice for right action. 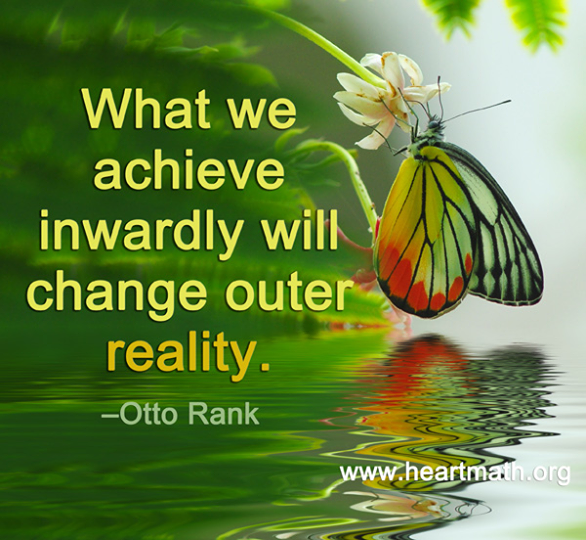 It is more about placing yourself in the right internal space to determine what ‘right action’ needs to happen, rather than simply reacting out of habitual patterning. As the quote below from contemporary teacher Matt Licata implies, when we create in ourselves the space to ‘hold’ the pain and fear, like we would hold a frightened child, it is then that we can embrace it for what it is, a portal to Presence. In Zen Coaching we are coached into our true nature; into Essence or Source; that side of ourselves that is in fact ‘made in the image and likeness of the creator’. The kingdom of heaven that Jesus spoke about that is inside of us all. That inner ‘kingdom’ is in fact our true nature yet few of us ever experience it or even know of it’s existence. The essence of Zen Coaching is the supporting of one person by the Zen Coach, into finding and aligning themselves more and more from that inner ‘kingdom of heaven’ which we call Presence. Fear prevails in the absence of knowledge. And this knowledge relates to our true nature. We all buy into beliefs about who we are, for example that we are victims of circumstances, of the economy, of crime, of addiction. We very often confuse what we have with who we are, for instance I am poor, or rich, or black or white. Yet the truth is that even though we might have a black skin, we are not in truth, Black. The same with an addict. I may be labelled an addict, but the truth is I have a condition called addiction. In our true nature we are not addicts, or victims, or anything other than pure Presence. As humans, we have personalities and ego’s and it is the combination of these two forces that create the ‘personality’ that we think is us. In Zen Coaching we call that your ‘story’. So in my case, my story is that I am 63, white, woman who is illegitimate. Zen Coaching is both a method of coaching and a powerful self-development journey. It is particularly challenging to strike the balance between care for and enabling another person – especially if that person is in addiction or has a mental/emotional disorder. Zen Coaching teaches that balance. 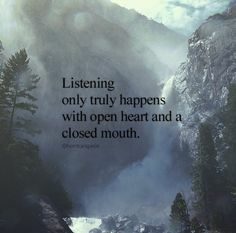 It is mainly about listening. It is also about trusting the process and finding the essence or source space in the other person and then coaching them into that space. As a Zen Coach, I therefore take a stand for the Truth of You which is your higher self or true nature which is beyond the physical, mental, emotional and even spiritual. Rather than acting as an external source to fix your problems, upon which you can become dependent which defeats the whole purpose of Zen Coaching – it is a learning experience that teaches you how to become the space from which externals can be viewed and acted upon appropriately. In short, as a Zen Coach, I support you into experiencing yourself as Presence (or God or Source) even if you have no idea what that is! It is from that place that problems dis-solve rather than be solved. And this can happen in an instant. In Zen Coaching there are no heavy, lengthy processes to go through, but rather you will find that suddenly, you have an insight about something and simply drop into Source, just like that! For most of us, especially women, there has been a life-long focus on taking care of others; of looking outside of ourselves for everything, however in Zen Coaching we learn how to take care of ourselves first and look within. https://charmainetreherne.wordpress.com/healing-work-i-offer/It is this that requires the constant practice! Zen Coaching will help you to discover how capable and whole you are and rather focusing on what’s wrong with you and your world, as we have been conditioned and habituated to do, we focus on who you really are and what’s right with you and your world. Because it takes time to break a habit and build a new one, after a series of 4 or 8 coaching session, you will start to experience yourself more and more as being capable of choosing, taking action, recovering when things don’t go well and especially capable of learning. These and other capacities like love, ease and joy are wired into all human beings no matter what their circumstances. We just lose sight of them through the constant pull to external problem-solving and fixing.Workshops and / or individual one-on-one Sessions. There are endless possibilities for Zen Coaching. It can be offered in one to one sessions with individuals but also in groups and Workshops. “It is my privilege to give a reference on Charmaine’s coaching skills. My coaching sessions with Charmaine have been life changing for me. I approached Charmaine for coaching at times when I was overwhelmed by issues that appeared too big and complex to find a solution for. During the coaching session, the first thing that struck me was the calm, grounded and expansive space that Charmaine provided by her presence. Her non-judgmental listening skills further enabled me to open up and share the whole issue with her. She then guided me through a process using skilled and insightful questions which culminated in me being able to emerge from my confusion and see my situation from a different perspective. In that space, the answers became clear. The coaching is non-directive but skillfully guided. Charmaine brings with her a simple yet powerful coaching model, years of experience, a keen insight into human behaviour, the tenacity to push through to the core of the issue. She also has a gentle and non-judgemental style, a strong spiritual connection and a wide range of tools, experience and knowledge that enhance the coaching experience. I have experienced major positive shifts in my life as a result of the coaching interventions and am astounded by the impact from an apparently effortless and simple intervention”. – Lynnette Wilkinson, Cape Town. My pricing structure is tiered according to means.What does this mean? It means that you decide which level is appropriate to you, and I trust your decision, no questions asked. Just mention what level of pricing you will use when you contact me. People with very limited financial means can contact me. Special dispensation for those completing the Zen Coach Training. Workshops – to be advised. People with limited or no financial means: Contact me. People with very limited financial means: $95.00. Please call or email me to arrange a session. I do face-to-face or Skype. Face-to-face sessions may require travel expenses. Read more about Zen Coaching and what it can do for you. 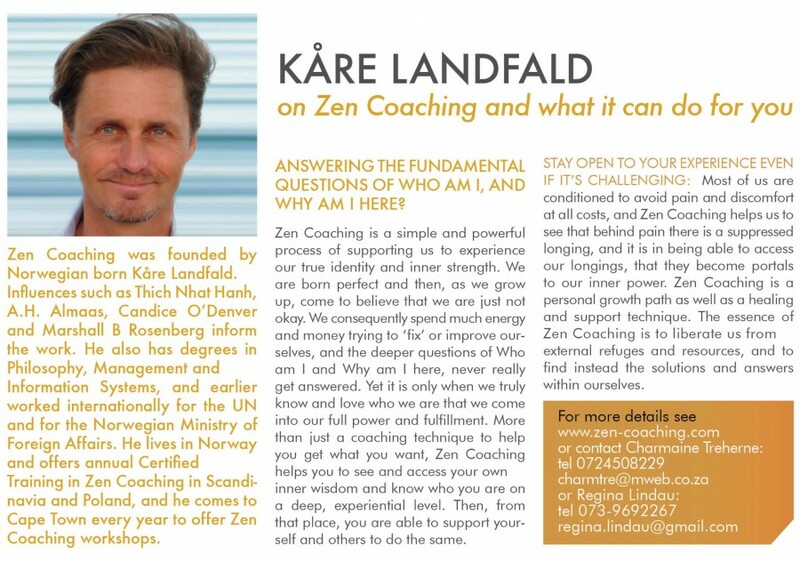 Zen Coaching was founded by Norwegian born Kare Landfald. Influences such as Thich Nhat Hanh, A.H. Almaas, Candice O’Denver and Marshall B. Rosenberg inform the work. He also has degrees in Philosophy, Management and Information Systems, and earlier worked internationally for the UN and for the Norwegian Ministry of Foreign Affairs. He lives in Norway and offers annual Certified Training in Zen coaching in Scandinavia and Poland, and he comes to Cape Town every year to offer Zen Coaching workshops. Zen Coaching is essentially a powerful approach to living, with a set of understanding and principles for how to support ourselves and others in coming home to our true nature, grow as human beings and to live and act from that recognition. 1) Supporting people in coming home to themselves: Our basic need or longing is to be connected with ourselves, to be at home in ourselves, to be ourselves, to be who we truly are. Perceived problems arise out of a disconnection with ourselves. Problems dissolve as we connect deeply with ourselves. Self-connection happens as we welcome our experience, however pleasant or unpleasant. In Zen Coaching, we first of all support people (including ourselves) in self-connecting. Once this connection is present, we can support others – or ourselves – in taking appropriate action and manifesting our visions. 2) Helping through non-helping: We do not seek to fix, guide or even to help the other, but to provide support through our simple presence, our Being-Here, our resting as awareness. We offer a loving space for the other to see and accept themselves as they are in this moment. We follow the other to where their life energy moves them, rather than guide the other to where we think he or she should go. 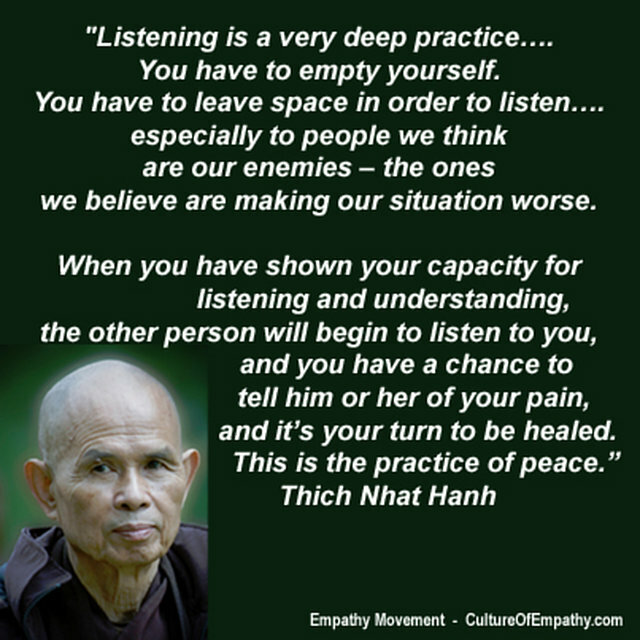 3) Listening from inner spaciousness and loving, allowing presence: As coach we offer listening in the form of an open, spacious, accepting and allowing presence, based mainly on silence, open questions and verbal reflections. Through this open and resting listening, the life process of the other (or ourselves, if we are listening to ourselves) has space to unfold according to its own movement and wisdom. 5) Flexibility and skilfull means: If we follow the above principles, we can, as listener, follow our intuition and use any technique that spontaneously occurs to us in the moment. Our intuition will tell us whether we are in line with the above principles or not. When we realize that we are off-track we return to simple presence and listening. If we cannot be present with the other in this way, we honestly share this with our partner, and may also ask for their support or suggestion. This book is based on the fundamental principle that people are by their very nature, creative, resourceful and whole. They are capable: capable of finding answers, capable of choosing, taking action, recovering when things don’t go well and especially capable of learning. This capacity is wired into all human beings no matter what their circumstances. In Co-active coaching this is more than a belief – it is a stand that we take. The alternative is a belief that people are fragile and dependent. When we take a stand for people’s natural creativity and resourcefulness, we become champions on their behalf not worried hand-holders. Willingness built on extraordinary trust to go with the flow of the conversation. Nonviolent Communication’ by Marshall B Rosenberg: A fascinating and effective way of conflict resolution and communication in general. NVC is based on a ‘mutual desire to give from the heart’. And a mutual agreement to emerge with a win-win situation;There is an effective way of resolving conflict. Observe, Feelings, Needs, request. “At times, the kindest thing we can offer a friend in pain is to sit in the darkness with them, removing the burden that they change, feel better, or ‘heal’ in order for us to stay close. It may feel like urgent action is being called for and that we must shift their depression to joy, their sadness to bliss, or their hopelessness to hope. But in doing so, we disavow the jewels that are hidden in the dark soil of the body. Together, let us make a commitment to no longer pathologize the wrathful appearance of sadness, anxiety, grief, and confusion. Instead, we will validate the right of these very vivid energies to surge in the body, staying close with them and listening carefully to what they have to say. We will no longer remove our love, our attunement, (at-ONE-ment) and our presence simply because another’s experience is not conforming to our personal and collective fantasies of happiness and light. Listening from inner spaciousness and loving, allowing presence: If we knew for sure 100% that we are powerful, creative beings made in the very image and likeness of the creative-source of all-that-is, we would not be so afraid when bad things happen. We might feel some sadness or even some anger at not being treated fairly, but these would pale into significance as we choose to respond in ways that are creative and empowering and can turn the whole situation around, when we come from a place of inner alignment. Zen coaching uses the ‘U’ model as a process for coaching. It can be said we are on the top left hand side of the U. As we agree to stop and examine ourselves, it can be said that we go down into the depths of our Being where Presence or God, resides. It is in that region that we try to spend the longest, as it is in that area that we find rest and restoration. Then, when the time is right, new forms of action emerge and we make our way back up the right hand side of the U, into every-day life. Based on the well-known Theory of U by Otto Scharmer, my coaching starts where you are, and through an effortless process takes you into that space of what Rumi calls ‘beyond right and wrong doing’ where you find yourSelf. Why is it necessary to Stop or Hold the Space? We are born into this world believing that we are fundamentally not okay. As we grow and develop, we we become conditioned and programmed to think that our success and indeed our very survival in this world is to be earned, deserved and worked for. We often end up doing work we find boring and life-sapping, get into relationships that challenge and wound us, and struggle with our habits and failures. 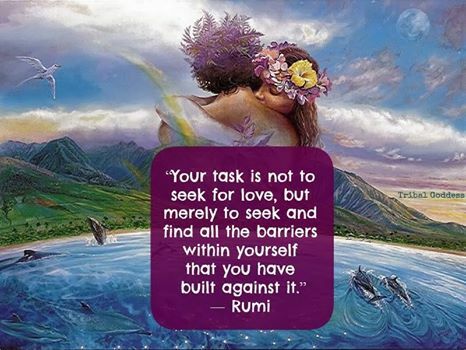 As Rumi said: “”Your task is not to seek for love, but merely to seek and find all the barriers within yourself that you have built against it.” Why? Because once we are able to stop focusing on those barriers, or what is wrong with us, the natural Being of Presence and Essence, emerges naturally. Once we stop, we relax naturally into the space of true identity, Being. Then from that space of Essence or Being, right action emerges and we work our way up the right hand side of the U into expression and manifestation. I don’t believe I am Presence! So how is this externally-focused approach to life working for us, collectively and individually? 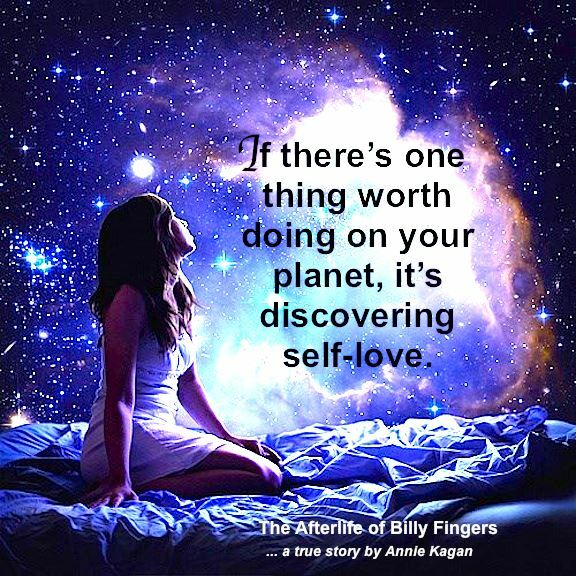 Basically, we have lost ourselves and one another in the accelerating ride to the bank accounts of the share-holders of large corporations who are literally making a killing on our lack of self-knowledge, self-love and knowing our true identity! At the end of the day, it’s no wonder we feel tired, depressed, stressed and anxious. And, we don’t really have anyone to talk to who can be of serious support to us. Well, that’s where I come in! Part of the Zen Coaching journey involves facilitated self-inquiry. It’s like when you love someone, you naturally want to know how they are doing. What they are going through, how they are handling things. You are, in short curious about them. Yet the number one relationship we have on this earth, is with ourselves and how often do we ever stop to even notice how we are feeling?! Apart from the frenetic suppression of our natural body shape and size, and constant covering up or ‘enhancing’ of the face in the mirror, how often do we check in with ourselves, and without judgement, find out on a deep level, “What’s happening now”? This type of healthy self-regard, takes a lot of practice. Zen Coaching is a unique and revolutionary method of supporting you into your true nature. More than a coaching technique, Zen Coaching offers tools in this simple yet profound practice of what A.H. Almaas whose work, The Diamond Approach informs Zen Coaching, calls inquiry.